Padded chair wich is marked by sophisticated essential shapes offers pleasant seating comfort, completely leather-covered. 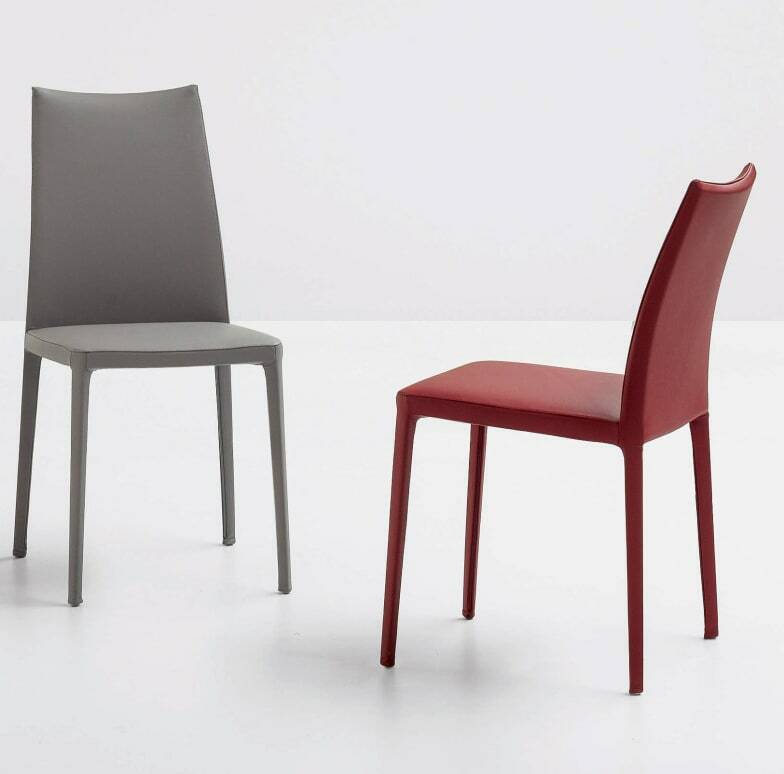 The linearity of a chair marked by sophisticated essential shapes. Kayla is entirely upholstered with leather, eco-leather or fabric covers and is available with low backrest (Kayla) or high backrest (Kayla up), with armrests (Miss Kayla) or with high backrest and armrests (Miss Kayla up). The legs can be either completely upholstered or in painted metal. Do you have a question about "Kayla"? How can we contact you?